Short on time? 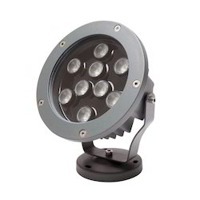 Let floodlight sellers contact you. Sturdy and rugged die-cast low-copper aluminum housing. 12mm toughened safty glass.shock resistant. The body can transfer the heat from LED away effecting. Over-heating protection is provided. Super heat dissipation extends the useful lifetime of LED. Adjustable beam angle. Body:die-case aluminum LED chip:Osram IP:66 Ideal for out door landscape lighting, such as park, square, building, façade, fountain etc. Standard package. High Quality LED Floodlight 1. Watts: 60W, 90W, 120W 2. Dust Free 3. Indoor Usage or Outdoor usage For more technical data, Please contact "Acetech". Shenzhen Jini Lighting Technology Co., Ltd.
Voltage: 230 V 50/60 Hz Power consumption: 100 W corresponds 300W sodium fixture Light flux: 9500 lumen Average lifetime: 50 000 hours (10 years when operates 12 hours per day) LED manufacturer: Philips Lumileds Color temperature: 3700 - 4000 K CRI: >85 Light distribution: 130 degrees, aluminum reflector Light intensity control: no Weight of fixture: 6,00 kg Dimensions: length 447 mm, width 248 mm, height 130 mm Body color: light grey. 450x250x150 mm, 7 kg. 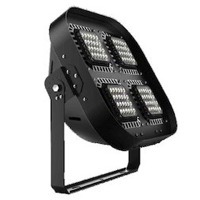 Parameter Category:LED floodlight Type:LT-LF10-001A Voltage:110-240V/50-60Hz Power:10W Lamp:LED IP Rate: IP 65 Material:Die casting aluminium. Shenzhen Seaart Optoelectronics Technology Co., Ltd. 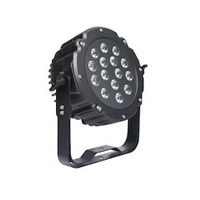 Specifications: LED power: 10w working voltage: 85 to 265v ac frequency range: 50 to 60hz wide view angle color rendering index: ¡ý80ra color temperatures: warm white: 2, 800 to 3, 200k neutral white: 4, 000 to 4, 500k cool white: 6, 000 to 7, 000k power factor (pf): >0.8 lifespan: >50, 000 hours luminous efficiency range: 85lm/w integrated single powerful led light high-efficiency led driver with aluminum alloy die-cast baking varnish heatsink, clear tempered glass ensures good heat dissipation and corrosion/dust-proof waterproof and shake-proof: ip65 aluminum reflector designed after professional light distribution analysis, with good light output effect being lighted up within three seconds with high cri (color rendering index). Hongkong Smart Sciince Technology Ltd.
5w/10w/20w 1) Bright lux LED chip, 90lm/w 2) charging time: 5 hours 3) Working time: 35hours 4) Battery:7.4v, li batteries 4.1>7.4v li battery 2200ma-5w 4.2>7.4v li battery 4400ma-10w 4.3>14.8v li battery 4400ma-20w 5) Color temperature :2700k~6500k 6) Ac/Dc adaptor, 12/24v car plug charger included Products application: Disaster relief Go hunting Go fishing Go camping Farm working. Pcs in one box, 12pcs/carton, carton size:38.5mm*38mm*39mm net weight:12kg gross weight:15kg. 5w/10w/20w 1) Brightlux LED chip, 90lm/w 2) charging time: 5 hours 2) Working time: 3~5hours 3) Battery:7.4v, li batteries 4).1>7.4v li battery 2200ma-5w 50.2>7.4v li battery 4400ma-10w 6).3>14.8v li battery 4400ma-20w 7) color temperature :2700k~6500k 8) AC/DC adaptor, 12/24v car plug charger included Products application: Disaster relief Go hunting Go fishing Go camping Farm working. 1pcs in one white box, 12pcs per carton, carton size:38.5mm*38mm*39mm.